Get to Know Your ANC Candidates: ANC 3E-02 | Tenleytown, D.C.
Posted on September 9, 2014 by Tenleytown, D.C.
Last week, Tenleytown, D.C. launched our series about the upcoming Advisory Neighborhood Commission (ANC) elections, featuring profiles of candidates running in each of the five single member districts (SMD) that comprise ANC 3E. The profiles are based upon answers to questionnaires sent to the candidates, which were designed to provide voters with more information about the candidates’ backgrounds, involvement in our community, and vision for it moving forward. The inaugural profiles, which highlighted the two candidates running in ANC3E-01, garnered a lot of discussion from readers in the comments section about local priorities and who might be best suited to meet them. We’re hoping that AU Park/Friendship Heights/Tenleytown residents will continue to debate – respectfully – the issues and the candidates, so definitely share your opinions in the comments and let us know if you have any additional questions for the candidates. This week, we continue our series with SMD 3E-02. Don’t know in which SMD you reside? Find out here. The district is bounded by Massachusetts Avenue to the southwest, Western Avenue to the northwest, and Fessenden Street to the north, and then stair steps south from 45th Street over to 47th Street. For a more complete outline of the boundaries, click the map image for a larger version. ANC 3E-02 is comprised predominantly of single-family residences, but also features the small Spring Valley Shopping Center, which includes Wagshal’s Market and Tara Thai restaurant among other establishments, and the now vacant Fresh & Green’s grocery store. The district also includes the current Washington College of Law, which will move to the American University Tenley Campus in the fall of 2015. Matthew Frumin is the incumbent commissioner and current chair of ANC 3E. He has held the seat since 2008, but announced in July that after six years on the commission he would not be seeking reelection. Amy B. Hall is the lone candidate seeking to fill Frumin’s seat. The SMD is one of two in which a candidate is running unopposed. Originally from eastern Long Island, New York, Amy B. Hall has lived in the Tenleytown/AU Park area since 2001. Her family moved to the area from Capitol Hill, attracted by the neighborhood, easy pedestrian and Metro access to city amenities, and the local schools. Amy B. Hall: I’ve always tried to be active in the community where I live. For a number of years I served on the board of the Janney Extended Day program, when it was parent-run. I participated in a number of DC Office of Planning initiatives as an interested resident, and participated in the recent school boundary discussion, as well. I believe that I can bring a common sense approach to our local issues, and I look forward to working with the local residents and business owners to improve our (already great) community. 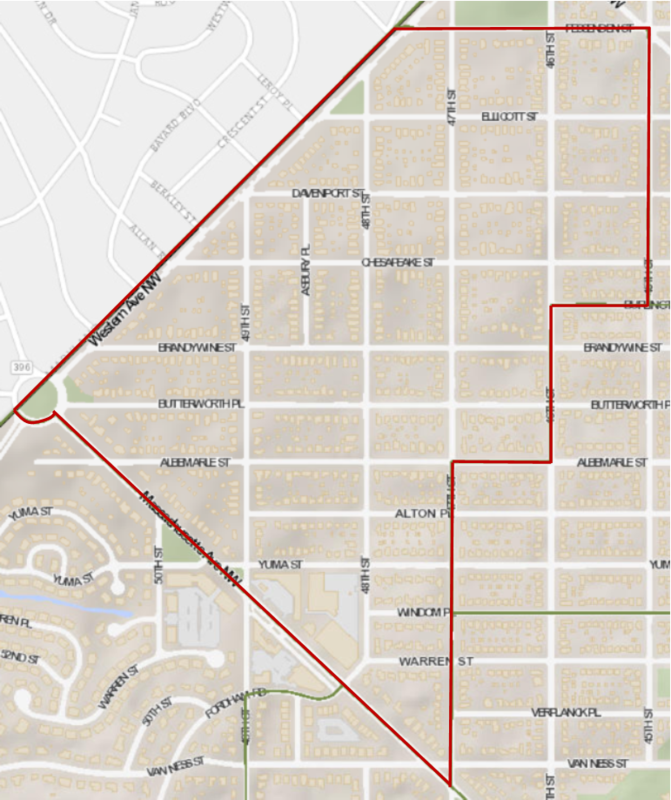 Tenleytown, D.C.: What changes would you like to see during the next ANC3E term? Amy B. Hall: Our small SMD on the westernmost sliver of the Tenleytown/AU Park/Friendship Heights neighborhood doesn’t include many of the development properties of the Wisconsin Avenue corridor, but I would welcome the opportunity to work with the other ANC representatives on improving the options – whether housing, restaurants or other businesses – for local residents in our area. I also hope that we can find an agreeable solution for the vacant Superfresh site that will provide a new use or tenant without disrupting the neighborhood character. Amy B. Hall: I believe it is important to preserve the quiet and welcoming character of our community, but still encourage opportunities for growth and development. Many of the families who live here have selected this area because it has a cozy neighborhood feel with easy access to the many amenities and opportunities DC has to offer. I believe as the Wisconsin Avenue corridor is redeveloped over time, it can offer more opportunities for families living here, but we also must balance that in a way that retains the character of our community.